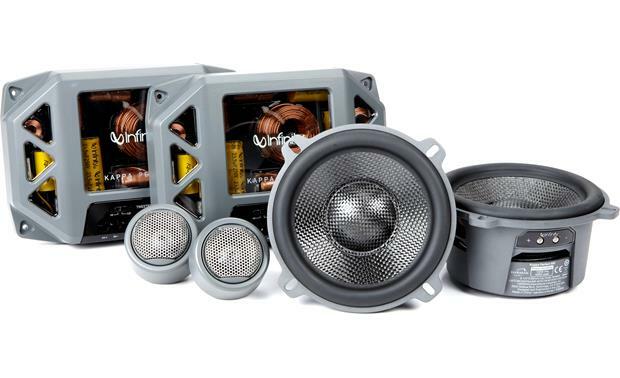 Infinity's flagship Kappa Perfect Series speakers look so good and feel so solidly built that it's a shame you probably won't lay your eyes on them again after they're installed, but it's a small price to pay to experience unrivaled audio in your vehicle. 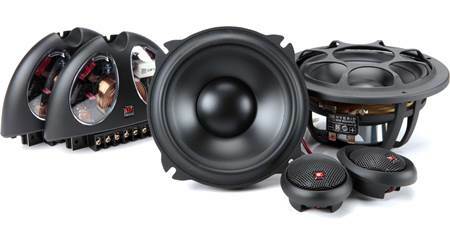 This Kappa Perfect 500 5-1/4" component system is a heart-and-soul Infinity creation, utilizing the very best technology and materials available to their engineers. Prepare to hear nuance and detail in your favorite music that you never knew was there. 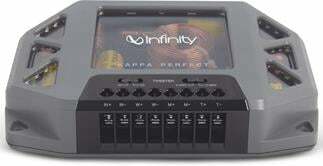 Infinity uses edge-driven polyimide dome tweeters to achieve a frequency response up to 30,000 Hz. 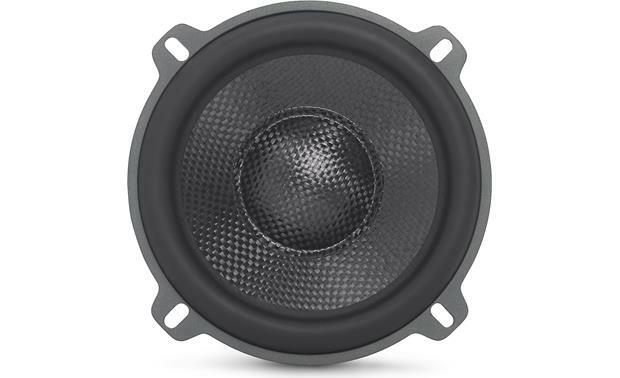 The "edge-driven" design creates a larger tweeter that handles more power and delivers smooth response way down into midrange frequencies as well. You'll hear a more clearly defined soundstage where you can picture the placement of every instrument. 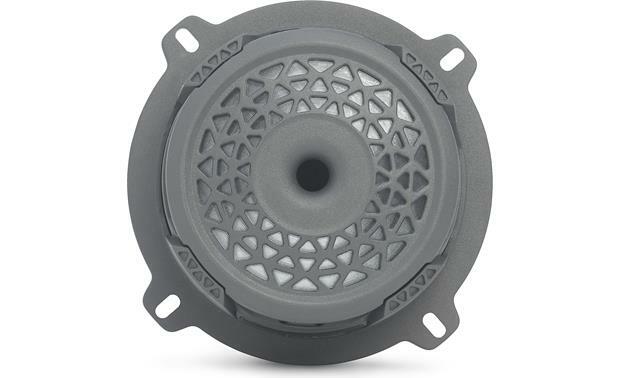 While installing tweeters can sometimes prove challenging, Infinity includes versatile hardware for surface- or flush-mounting, making the job much easier in most vehicles. 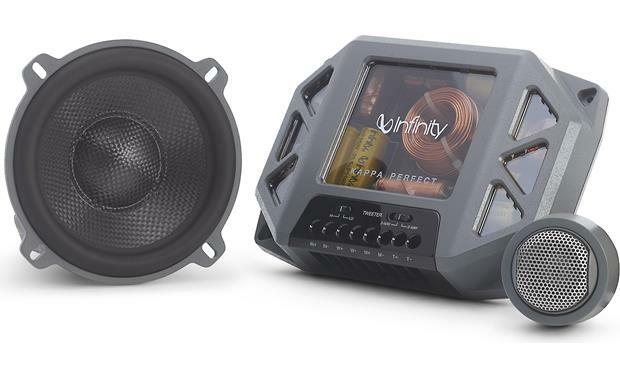 Infinity uses a carbon fiber woofer that weighs less than traditional materials, so you don't need a ton of power to drive this woofer, but the oversized voice coil certainly allows for awesome power-handling if you're driving this system with an amp. 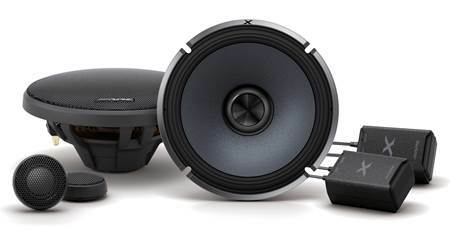 Infinity's Plus One+ woofer technology extends the cone right up to the edge of the basket, giving you more surface area than with most comparable speakers. A bigger cone means more bass to complement the superior high-frequency response. 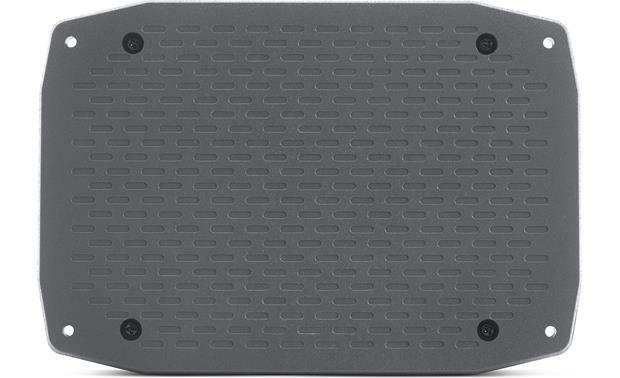 The included external crossovers send the appropriate frequencies to the tweeters and woofers. 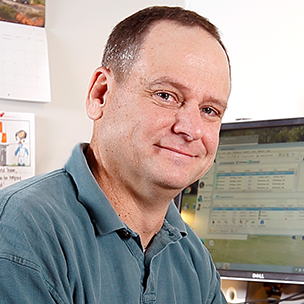 Want a 3-way Kappa Perfect system? 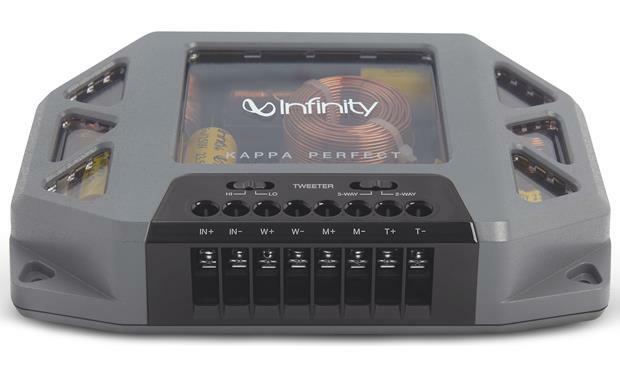 Infinity makes it easy to turn this Kappa Perfect 2-way component system into a 3-way system with the addition of optional 3-1/2" midrange speakers. Simply flip the switch on each Kappa Perfect crossover to a 3-way system configuration for a well-rounded sound. 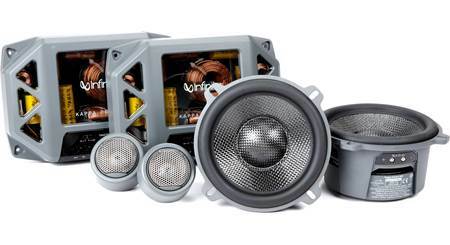 These speakers are sensitive enough that you can power them with an aftermarket stereo, but you'll get your best results feeding them plenty of power from an outboard amp — up to 100 watts RMS. Yes it is a perfect kappa 500 . Sounds performance according to their name. Love it most clear and loud speaker I have ever experienced in 5.25 inch. It's worth more then the price. what frequency are the tweeters crossed over at? I'm afraid the crossover points are not included from the manufacturer. For more details on that, you may want to contact Infinity directly--their support number is 800-553-3332. 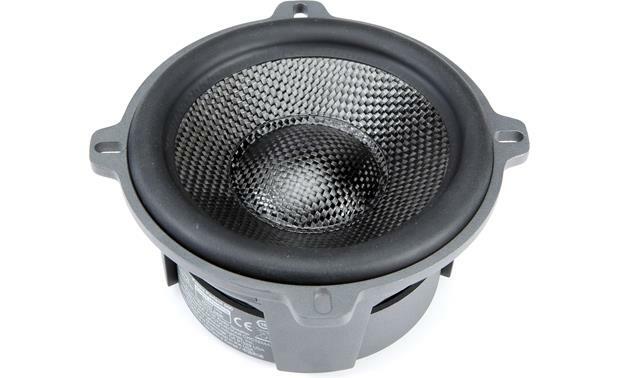 Plus One Woofer Cones: The Plus One woofer cones offer more surface area than other speakers that fit in the same size opening. This is accomplished by using a new basket design and hi-roll surround. 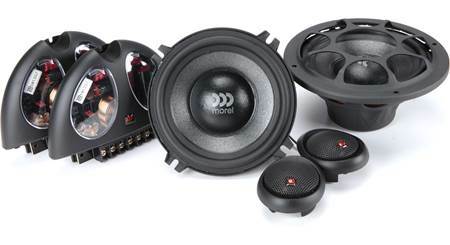 The result is greater bass output and a significant increase in efficiency. Terminals: The woofers' input terminals are set screws that will accept up to 14 gauge bare wire. 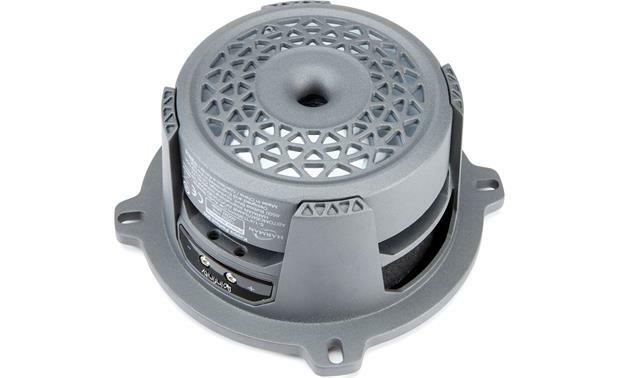 Tweeter Mounting: Using the included housings the tweeters can be flush mounted or surface mounted. The tweeter can pivot in the flush mount housing, so it can be directed to optimize imaging. 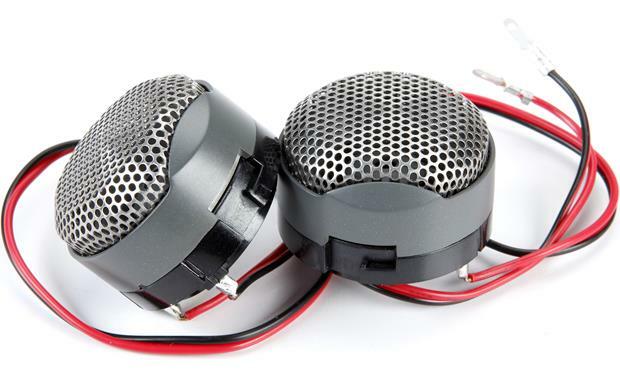 Crossovers: The crossovers can be set to 2-way (the default position, for use with the included woofer and tweeter) or 3-way (for use with the included drivers plus the optional Kappa Perfect 300M midrange, sold separately). Each crossover also has a tweeter output level switch (choose between high and low output). The inputs and outputs are screw terminals that will accept bare wire or spade connectors up to 0.275" wide. There are four mounting holes in the base of each crossover. 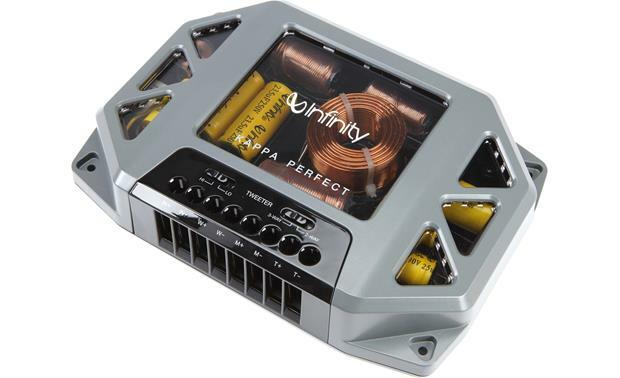 can the perfect components be run at 2 ohms? 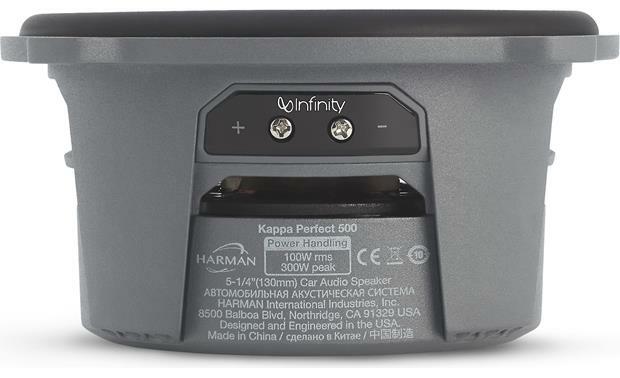 The Infinity Kappa Perfect 500 are 3.5 Ohm speakers so, no, they will not present a 2 Ohm load to your amp. 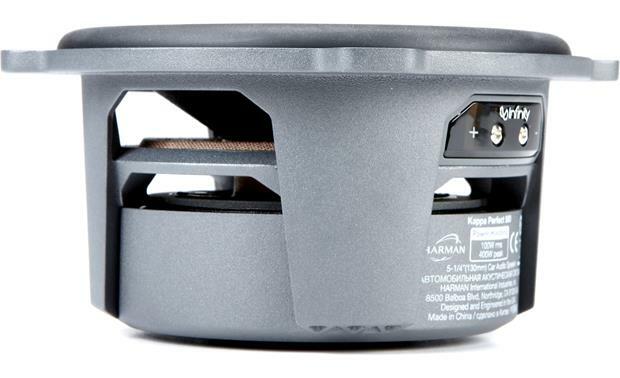 Searches related to the Infinity Kappa Perfect 500 Kappa Perfect Series 5-1/4" component speaker system.